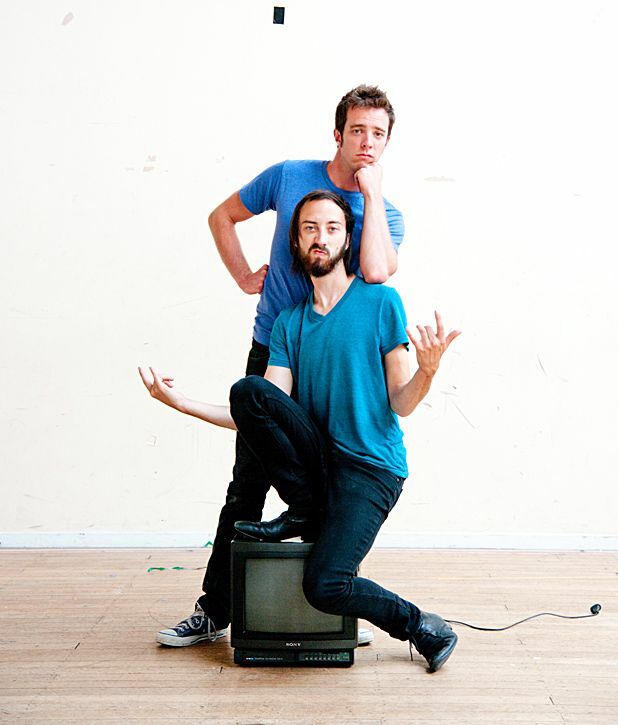 Kiwi duo Eli Matthewson and Hamish Parkinson are Max and Richard - Woody and Buzz Lightyear, Romy and Michele, Beavis and Butthead. Their bromance was borne out of crippling teenage loserdom, and is sustained in the present day by a couch and a shared obsession with TV. Their ‘story of what happens when you start looking for something more’ is aided and abetted by Elise Whitson, playing the roughest, toughest girl at school as well as the threatening object of affection. Max and Richard play out their relationship in a geeky vocabulary of favourite programmes and scattergun pastiche of iconic TV shows, and televisual and pop cultural references litter the script. It’s a sweetly whimsical hour, and - though the structure is slightly hotch potch and some polish to the pace wouldn’t go amiss - all three give strong performances. Invoking Corrie’s Deirdre Barlow as symbol of a life half lived, using cardboard cutouts for scenic props and interpretive dance involving ribbons to the theme tune of Dawson’s Creek should be worth the entrance fee alone. Gilded Balloon, 622 6552, until 27 Aug (not 14, 21), 2.30pm, £8.50 (£7.50).